Anti-Allergen spray for easy application to control indoor allergens such as pet dander, dustmites and pollen on fabrics and furniture. Spray on sofas, carpets, curtains, beds and pet bedding to neutralise and denature the allergen particles and help prevent allergic reactions. 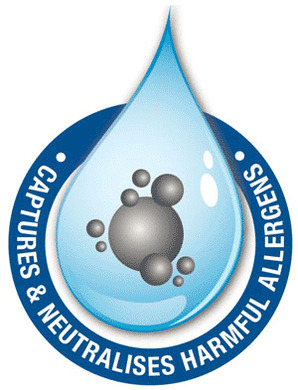 Encapsulates and neutralise allergens in soft furnishings.